The True Israel of God| Who Are "The People"? The True Israel of God| Who Are “The People”? Who is the True Israel of God? Who is identified as “the people” in the Bible? Who Is The True Israel of God? Who Is “The People”? Dispensationalism continues to tell us that the nation calling themselves Israel today, constitute “the people” of God. It is insisted that they are God’s covenant people, and that the church is an unpredicted, un-prophesied, interim measure on God’s part, established because God had to suspend His dealings with “the people” due to their unbelief. Thomas Ice is on record saying: “The Kingdom is contingent on Israel’s acceptance of its King. Because even after his resurrection, that nation refused Him, it became impossible to establish the kingdom (Acts 3:18-26). In fact, the tribulation period did not come; if it had,, the promise of the soon coming of the Son of Man would have been a great comfort to the apostles” (Thomas Ice, End Times Controversy– (Eugene, Or. Harvest House, 2003)85. The continuing belief that Israel– modern Israel– remains as God’s covenant people is in fact a false doctrine, and I am happy to affirm that in formal debate with qualified representatives who would challenge that. The simplicity and power of this short text is often overlooked, or ignored. For brevity, I will only make a couple of points. ☛ Moses, in Deuteronomy 18, predicted the coming of the ultimate prophet– who, Peter affirms– was none other than Jesus. ☛ Moses himself said that when that prophet would come, rejection of his words would be theological and spiritual suicide! This is where the force of this text is commonly overlooked. ☛ Moses’ words are powerful and graphic: “Every soul who will not hear that Prophet shall be utterly destroyed from among the people.” The force of the Greek text is often not communicated powerfully enough in our translations. The word translated as “cut off” is exolethreuthesetai. It is a compound word from ek, meaning “out from, out from among” along with exolethreuo. As a compound word, it emphasizes the meaning and that meaning is “utterly destroyed out from among the people.” As if that were not enough, Peter adds “ek tou laou” (“out from among the people”). So, the idea of utter destruction, total cutting off out from among the people is not only stated, but emphasized. This is very, very graphic. Fitzmeyer is one of the few commentators examined that focuses on the meaning of the words. (Joseph Fitzmeyer, The Anchor Bible, The Acts of the Apostles, (New York, Doubleday, 1998)288+). He notes that Peter conflates Deuteronomy 18 with Leviticus 23:29 to add dramatic emphasis to the threat of spurning the words of the prophet like Moses. Refusal to obey and follow would result in being “ruthlessly cut off from the people.” And yet, while Fitzmeyer calls attention to the dramatic force of the meaning of the words, he does not discuss the implications of what it would mean to be “utterly cut off, out from among “the people.” This is a major oversight and failure. 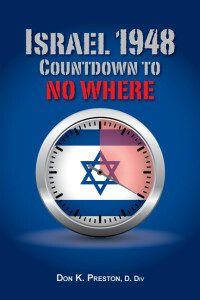 Be sure to get a copy of my book, Israel 1948: Countdown to No Where, for a powerful study of the true Israel of God. A great study on the identity of the true Israel of God! So, Moses, and Peter, both threatened that refusal to accept and obey the end time prophet like Moses would result in being totally cut off out from among the people. What does this have to do with the identity of “the people” i.e the identity of God’s true Israel? It has everything to do with it! To follow Messiah would designate and identify one as the true “the people.” How stunning is that? For historical Israel, being known as “the people” was always a matter of ethnic pride and heritage. Some Jews even believed that being linked to Abraham by blood guaranteed one an inheritance, in the kingdom regardless of any sins they might commit. Being “the people” therefore, did not necessarily spring from believing anything. It sprang from lineage, ethnicity and race. Peter’s words are echoed precisely in Galatians 3:6f where Paul said, “only those who are of faith are the seed of Abraham.” Those not of faith in Jesus are not the seed of Abraham! They are not “the people.” Nothing could more clearly “re-define” what being “the people” truly was. The implications of this for modern Dispensationalism are profound. Zionists point us to 1948 as the “Super Sign of the End” assuring us that the so-called “restoration of Israel” that took place at that time was the fulfillment of prophecy. What is so significant about that, however, is that even prominent Dispensationalists admit that the majority of those who returned, the majority of those who founded the current state of Israel, were and are “atheists, agnostics and unbelievers.” (Thomas Ice citing Arnold Fruchtenbaum in Charting The End Times, Eugene, Ore. Harvest House, 2001)86. Fruchtenbaum admits that the majority of those who established the nation in 1948 were “atheists, agnostics and unbelievers”). Ok, so, Peter said that those who reject Jesus as Messiah are not “the people”; they are “cut off out from among the people.” Yet, according to Dispensationalists, the “atheists, agnostics and unbelievers” that “restored” Israel in 1948 are ostensibly “the people” of Israel! They do not believe in Jesus. They reject him as Messiah. They do not even believe in God, at all! Yet, we are to believe that they are “the people of Israel.” They are the true seed of Abraham!? What kind of theology is this? I am sure that at this juncture, someone will yell ‘Anti-semitism!”, or “Replacement theology!” at the things presented here. Yet, it was Moses that set the bar for the true identification of “the people.” It was Peter– faithful Jew, and the apostle to the circumcision– that reiterated those portentous words in Acts 3. It was thus Moses and Peter that give us the standard for identifying “the people.” That standard is faith in Jesus as Messiah. Anyone rejecting that truth is not “the people” and, just as Peter forebodingly said, in his generation, those who rejected Jesus, indeed, those who crucified the prince of life, were indeed utterly, ruthlessly cut off out from among the people. They were destroyed in AD 70. The Old “the people” ceased to exist. The true people, long foretold, long anticipated, were revealed to be the true sons of Abraham. Those who rejected them, and persecuted them, were revealed to be, in the final analysis, “the synagogue of Satan.” They are no longer the true Israel! Israel as the Enemy of God? Is This True Israel? In the words of Holland, commenting on Romans 11:5f, and Israel’s rejection of Jesus at that time: “In seeing the Jews who believed in Jesus as a remnant, Paul makes a comparison with the remnant that refused to worship Baal. The logical conclusion of Paul’s argument is that he considers Judaism to be a pagan religion akin to Baal worship– a concept that would have horrified the orthodox Jews. It was pagan because it sought to demand allegiance to the Jewish people in the face of the claims of their Messiah. …. Judaism is a religious system that has rejected the Messiah. In so doing she has become nothing less than pagan.” (Tom Holland, A Biblical Theological Commentary: Romans The Divine Marriage, (Eugene, Or. Pickwick Publications, 2011)372). Holland expresses a concept here that is found throughout the Bible, but seldom discussed, and that is that in both history and in prophecy, YHVH spoke of the nation of Israel becoming his enemy. Isaiah spoke of how Israel had grieved the Holy Spirit of the Lord and had become His enemy, in essence the same as a pagan nation (Isaiah 63:10). Likewise, Micah records YHVH referring to Israel as His enemy– and enemy that was about to be destroyed (Micah 2:8; 7:10). At a later period, Jeremiah lamented the fact that Israel / Judah had become the enemy of YHVH and had suffered the consequences, i.e. the destruction of Jerusalem (Lamentations 2:4). In the NT, it is significant that Paul refers to the Jews as “the enemies of the Cross” (Philippians 3:18), and he posits the circumcision of the heart (i.e. in the followers of Jesus) as the true circumcision and the true worship! Paul is echoing what Peter said in Acts 3: those who rejected Jesus were not any longer “the circumcision,” but the “mutilation.” They were not the true worshipers (Philippians 3:1-4). They were not “the people” for they had in fact become the enemy of God! 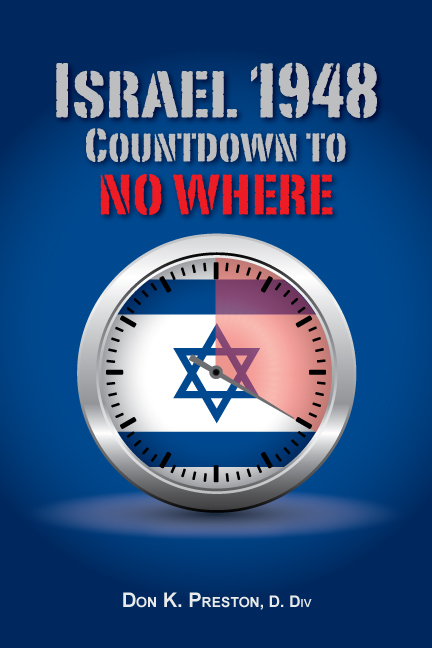 Previous Previous post: All Israel Shall Be Saved| Who Is Israel?